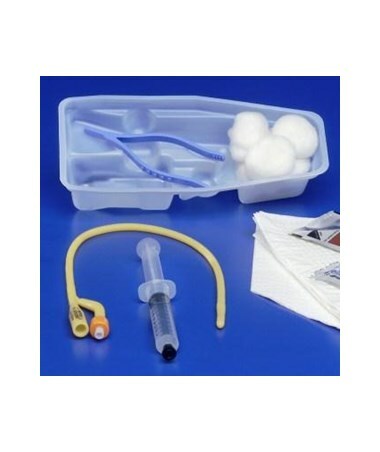 The CURITY Universal Catheterization Tray features a Foley Latex Catheter that is coated with a superior ultramer coating. 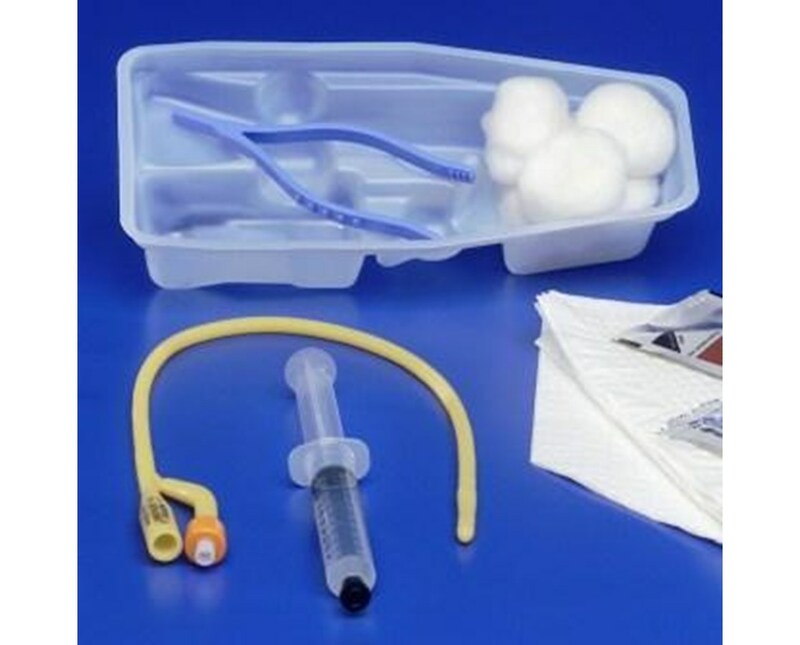 This coating eases insertion to help prevent urethral trauma. The tray is stocked with all the prepping components needed to insure aseptic technique. Included are Nitrile exam gloves that have excellent feel and performance. The contents of the tray include CSR wrap, fenestrated drape, underpad, nitrile exam gloves, forceps, prepping balls, graduated basin, 10cc prefilled sterile water inflation syringe, lubricating jelly, PVP solution (10%), specimen container and label. 2101: Case of 20, 16 FR, 5cc, 2-way,17"
3044: Case of 20, 18 FR, 5cc, 2-way,17"